London’s parks are just waking up to spring. Now spring flowers are peeping out, creating washes of colour. So a wander through the capital’s iconic parks is an essential part of any London visit. First, try a stroll along the Serpentine in Hyde Park to enjoy the open space and peaceful atmosphere. Afterwards, why not warm up with a hot chocolate from one of the cafes? Also, head to Parliament Hill Fields in Hampstead Heath. Here you’ll have breath-taking views of the London skyline. In fact, we think this is one of the best view points in the city. Maybe that’s why it’s always a favourite with Londoners! How about afternoon tea in vintage style? It’s no secret that the V&A museum has undoubtedly one of London’s most stunning cafes. In particular, it’s famous for its gorgeous tiles and design. That’s why it’s the ideal setting for a special afternoon tea. Or what about oysters and champagne? And perhaps you’d like those with a great view of the city as well? If so, head to Searcy’s at the Iris bar at the top of the Gherkin. In fact, they’re offering a special Valentine’s package on 14th and 15th February. So book soon to be part of it! If you can’t decide between afternoon tea or something stronger, then here’s our tip. Try the Cocktail Lounge at Clerkenwell’s Zetter Townhouse. Maybe it’s the decor that makes this special – rather like a cosy living room in a stately home. Or perhaps it’s the unique and imaginative cocktails, which are an experience in themselves. We’ll leave you to decide! Love to wander through magnificent art collections? Then the National Gallery or the Wallace Collection should be right at the top of your list. Here you’ll find not only world-famous art, but also sumptuous settings. These are therefore perfect places to lose track of time. London is always energetic, creative and dedicated to fun. So it’s hard to choose a shortlist. First, how about the Midnight Apothecary? This bar in Rotherhithe crafts botanical cocktails from its own rooftop garden. They will be hosting a Valentine’s Night Special on 16th February. Here you can enjoy hot food, live music and, yes, some unique drinks. For even more crazy fun, try Silent Sounds Valentine’s boat tour, also on 16th. 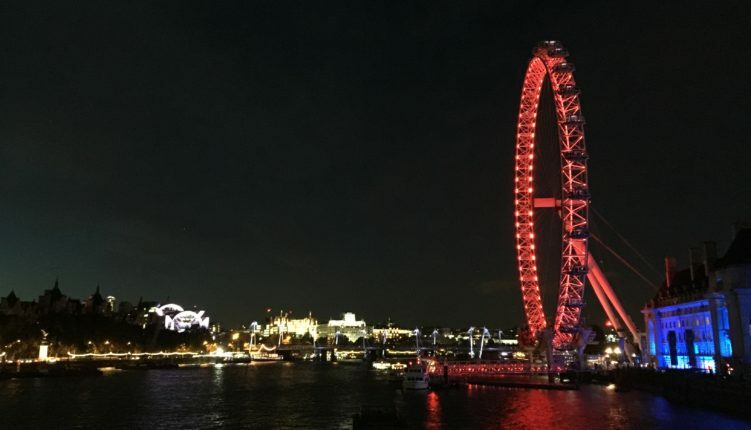 This night time boat trip on the Thames invites you to join the party in their Silent Disco. So grab some headphones and select your channel. Then bust some moves on the dance floor while the sights of London go by!